Genuine Replacement After Filters provide an additional 3 layers of filtration and filter 99% of particles 1 micron and larger. They should be changed after every 6 bags. Fast and correct delivery. Very satisfied. Prompt delivery, good price. Will use this company again. Popped right into my old upright...nice! Answer:If this is the first time using these filters you will need to get the filter housing which will affix to the vent and then these replacement filters connect into the housing. 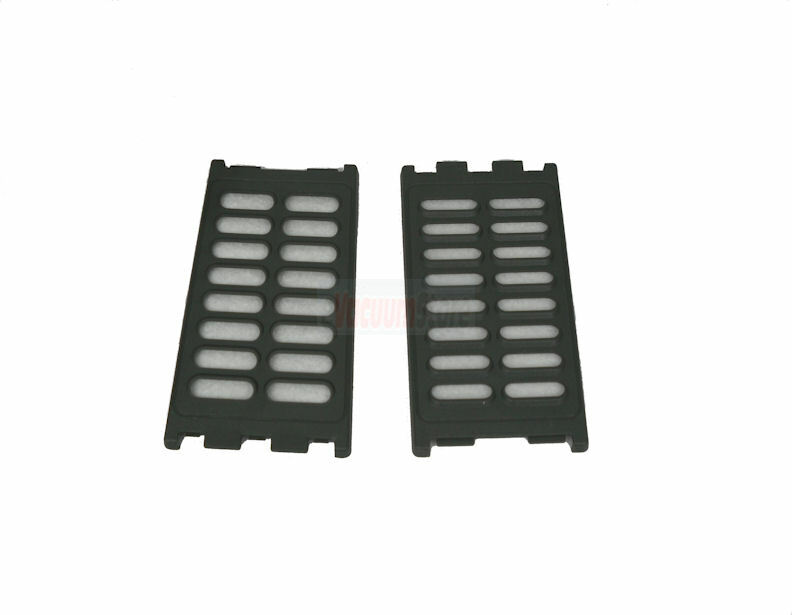 Answer:These filters are compatible with the Electrolux model 1572E. Just make sure you have the filter housing already installed on your machine since these are the replacement inserts. Answer:This filter will not fit Electrolux model U160A. We can special order this filter for you if you call 866-972-8227. Answer:Yes, this fits the 3500 SR.
Answer:Yes, these will fit that model.